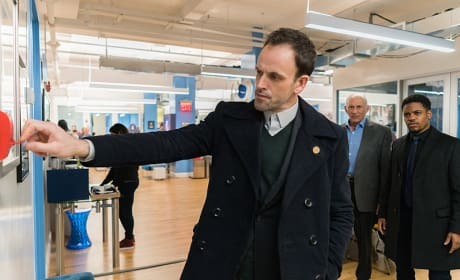 Sherlock suspects his father of murder on Elementary. "Turn It Upside Down" is the 22nd episode of the show's fourth season. 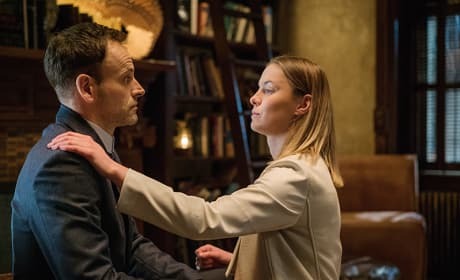 Holmes exhibits odd behavior when his romantic relationship with Fiona hits a critical point on Elementary. 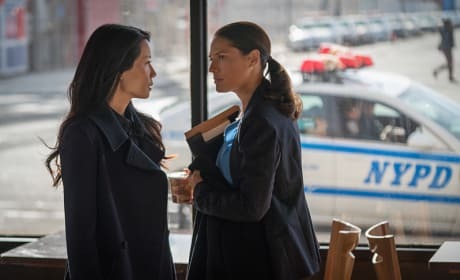 "Ready or Not" is the 18th episode of the show's fourth season. 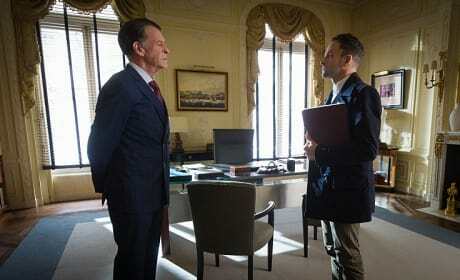 Holmes searches for the real identity of a superhero on Elementary. "You've Got Me, Who's Got You?" is the 17th episode of the show's fourth season. 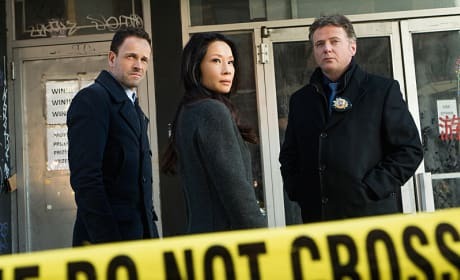 Holmes and Watson investigate the strange death the supposedly involved a glowing animal on Elementary. 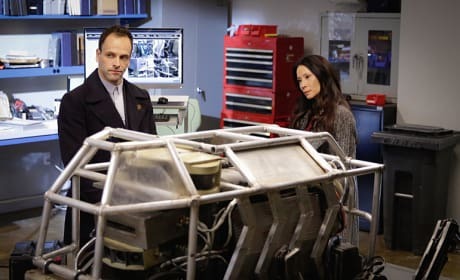 "Hounded" is the 16th episode of the show's fourth season. 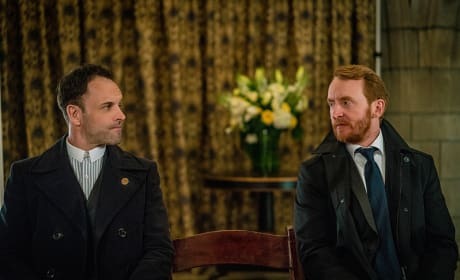 Watson inadvertently puts Gregson and his secret girlfriends's breakup into motion on Elementary. "Up to Heaven and Down to Hell" is the 15th episode of the show's fourth season. 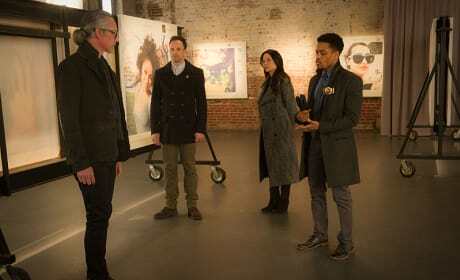 An attempt on Morland's life brings out secrets and pushes relationships to the breaking point on Elementary. "Who is That Masked Man?" is the 14th episode of the show's fourth season. 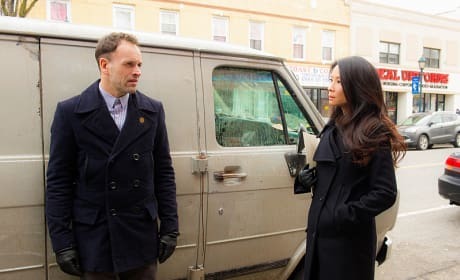 Joan ends up in a grudge match with another detective on Elementary. 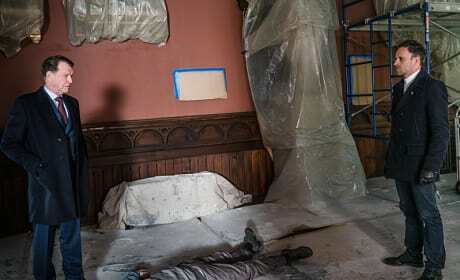 "Down Where the Dead Delight" is the 11th episode of the show's fourth season.